Looking for ductless air conditioning services in Toronto or the GTA? Air Conditioner Pro can help. We have lots of experience with ductless air conditioner installation, ductless air conditioner repairs and ductless air conditioner maintenance. In fact, we’ve got over 30 years of experience providing ductless air services to Toronto homeowners. When it comes to ductless installation we work with you to evaluate your home and present you with options for units that suit your space. We ensure that your new ductless air conditioner is the proper size for your home and has the features and level of efficiency that you want. One of the most important services we provide is ductless air conditioner maintenance. The reason it’s so important is because maintenance ensures that your ductless AC unit operates as efficiently and reliably as possible. Air Conditioner Pro recently took some time to answer a call for someone looking to know more about ductless air vs. central air. This is Tom’s story. Toronto and the GTA can get quite warm in the summer, and no one knows this better than Tom. As a certified plumber, he makes house calls throughout the day. That means driving from location to location and since he represents a smaller business, that usually means he’s working past 5pm. Tom has a smaller place of his own in the east end like most Torontonians nowadays. His dog Oscar lives with him. Just like you shouldn’t leave a pet in a hot car while you go shopping, you really shouldn’t leave them in a hot house either. As a responsible pet owner, Tom would ask his elderly neighbour to dog-sit on especially humid days knowing that this neighbour had air conditioning. With this neighbour getting ready to move in with their family, Tom needed to find another way to keep Oscar comfortable in the summer. Is Ductless Air Better Than Central Air? Tom decided to give us a call after doing some homework on ductless air systems. After answering a few of his concerns, we convinced him to let us provide an assessment of his home. With just a simple basement apartment setup to keep cool, we knew ductless air was the way to go for Tom and Oscar. Ductless air works best when trying to control room temperature of a given area of a home. It pulls in air from outside, cools it, and then distributes it to a large area (like a living room), known as spot cooling. Combine this with a well insulated home, and ductless air works like a dream – even in muggy summer weather. Our Air Conditioner Pro experts have been helping Toronto and the GTA stay comfortable for more than 30 years. Summer, winter, it doesn’t matter. We install, maintain, and repair all HVAC systems, including ductless air. Best of all, we take pride in being there for our customers whenever they need us. That’s why we’re available 24/7 for emergencies. Just contact us at 647-547-4049 and one of our trained staff will be there to help. So don’t wait to get answers about ductless air. Let us keep you and your pets cool all summer. Okay, so before you ask…yes it is January, so why are we talking about ductless air conditioning maintenance? The simple answer is that it’s never too early to start thinking about ductless air conditioning maintenance. Spring and Summer are months away and we’re all still dealing with the freezing cold that never forgets about Toronto and the GTA, but when that nice weather comes you want to be ready. Affordability: Why wait until the Spring and Summer to book your ductless air conditioning maintenance appointment. Those are the months when all of us spend the most on day trips, weekend get-aways and summer vacations with the family. Once the kids are out of school our credit cards take a hit. By comparison, January and February are very affordable months, which is why we urge our customers to book early. Get The Appointment Time You Want: While we have lots of professional Air Conditioner Pro ductless air conditioning maintenance technicians working for us year round, getting the ideal appointment time during our busiest times can be challenging. We’ll always be able to help on an emergency basis within 24 hours, but if you need you ductless air conditioning maintenance appointment taken care of ASAP during our peak time we may have to work between our schedules to find something ideal for you. To avoid any waiting whatsoever book early in the spring or even in February. We’re always available early to take care of your ductless air conditioning maintenance appointment. Don’t Wait For A Breakdown: We normally have the most calls for ductless air conditioning maintenance in the spring. This is because it’s the time of year that most people turn on their ductless air conditioners for the first time. Don’t wait until you are turning your unit on for the first time to call for a maintenance or repair appointment. Ensure that maintenance is taken care of before you actually need to use your ductless air conditioner will take care of any issues that might lead to a breakdown, so you can just enjoy the cool refreshing air. Essentially, you can schedule ductless air conditioning maintenance any time of the year, but it should be at least once a year and ideally before any heavy usage. For more information about ductless air conditioning maintenance contact Air Conditioner Pro today at 647-547-4049. We’ll provide you with a free estimate for the maintenance of your unit and book an appointment that suits your schedule. In many business categories things have been done a certain way for a long time and implementing change is often very difficult. One exception to that is the HVAC industry where ductless air conditioner technology evolved quickly and was incorporated just the same. These systems are continually evolving and at the forefront of the industry and the basis for which many electronics companies have been developed. While system design remains quite basic with a compressor, condenser, expansion device, and evaporator, seeing the inside of a unit illustrates its complex systems. There are numerous components and circuits that have all been implemented over the years to increase efficiency and reliability. All of these technological advances have not driven up the price significantly, so these units are still an affordable solution. However, these advances have allowed these units to be used for a vast array of applications in commercial and residential spaces. Originally, the ductless air conditioner was intended to serve as a replacement for window air conditioner unit, which it does, but it also does much more. Now with the ability to create large zoned systems that can cool large spaces and entire home and offices, ductless air conditioner technology has few limitations. The Standard compressor switched to variable-frequency drive (VFD) “inverter” compressors. This allows them to deliver exceptional operational performance, maintain a specific comfort level and ensure the units remain reliable. Condensing fan motors changed from direct-drive to VFD inverter-types. This significantly improved the performance of the units. Evaporator unit fan motors evolved from direct-drive to DC- or ECM-type. This change minimized the amount of noise that units would make, as well as reduced their power consumption. Heat exchanger technology evolved to include intricate high-performance coil designs. These coils have less surface area, but have the ability to maximize heat transfer to ensure system capacity. Systems now have their own control systems, allowing consumers fully integrated units that work together. This means condensing units, evaporator, zone control, and centralized controllers. Self-diagnostic functions help consumers and technicians solve system issues on the spot. Systems now meet the growing needs and requirements to have a healthier and cleaner air filtering. For more information about any ductless air conditioner brand or model contact Air Conditioner Pro today: 416-921-0000. Air Conditioner Pro has been installing and maintaining ductless air conditioners in Toronto, York Region and the rest of the GTA for over 30 years. Do you rely on a window air conditioner to keep a bedroom, living room, dining room or any other room in your home cool? It’s time to get rid of your window air conditioner and move on. They’re noisy, bulky, block the light in your window, and are a security hazard for people looking to break into your home. Have you heard of ductless air conditioners? Ductless air conditioning is an affordable and stylish alternative to every kind of air conditioning, especially a window air conditioner. Ductless air conditioners have lots of benefits that window air conditioners can’t even come close to matching. Ductless air conditioners are quiet. Ductless air conditioners are quiet and most people don’t even realize they’re operating when they’re turned on. Ductless air conditioners have lots of great styles and integrate seamlessly into your existing decor. Ductless air conditioners are incredibly energy-efficient. Ductless air conditioners are easy to install and can be ready to use in a day without any construction. Ductless air conditioners will last for a long time with minimal maintenance, continuously pumping out crisp cool air. Ductless air conditioning systems do a great job of filtering the air in your home. Window air conditioners are noisy and quite often interrupt the conversation in the room, or even your sleep patterns. Window air conditioners are bulky and ugly and block the light from coming through your window. Window air conditioners can be installed quickly but require a properly sized window and aren’t often insulated properly. A window air conditioner typically lasts only a few years and over time loses it’s ability to produce nice cool air. A window air conditioner does a poor job of filtering the air in your home. Air Conditioner Pro has been serving Toronto, York Region and the rest of the GTA for over 30 years. We provide professional ductless air conditioner installation and other HVAC services. If you’ve been sitting at home this summer covered in sweat with fans constantly running in every room, you’re not alone. Lots of people in Toronto, York Region, and the rest of the GTA also rely on fans when the summer heat arrives. We’ll ceiling and desk fans aren’t the only affordable cooling solution these days. Ductless air conditioners are very affordable air conditioning solutions. Here’s a crash course on ductless air conditioners for those who aren’t familiar with them. They don’t require any construction during installation. They come in a variety of sizes and prices to suit every need and all budgets. They are more efficient than central air conditioners, fans and other types of cooling. They allow you to customize your home cooling by focusing on the rooms you actually use. Their configuration allows you to add more units in the future, so you don’t have to create a cooling solution for your entire home if it’s not in your current budget. Overall, ductless air conditioners are incredibly affordable. They take about a day to install and come in a variety of different styles so you can match your existing decor. Ductless air conditioners consist of two components. The indoor air handling unit and the outdoor condenser unit. The air handler is the stylish piece that spreads cool air throughout your home. The condenser works together with the air handler and can feed multiple air handlers if necessary. The only necessary construction when installing ductless air conditioners is to drill a hole through an exterior wall of your home to connect the two units. Air Conditioner Pro has been installing ductless air conditioners and other cooling and HVAC solutions for over 30 years. We proudly serve all of our neighbours in Toronto, York Region and the rest of the GTA. https://airconditionerpro.ca/wp-content/uploads/2016/01/tata-i-klinci.jpg 635 900 admin https://airconditionerpro.ca/wp-content/uploads/2019/02/17-1.png admin2016-07-22 14:09:102018-04-24 01:41:28Need Affordable Air Conditioning? Check This Out! Choosing a ductless air conditioner installation company can be difficult. You might be at the point where you know you need a ductless air conditioner, but what’s next? Toronto has lots of ductless air conditioner installation options and finding the right one for your needs is important. Here are some tips to help you make a smart choice when it comes to ductless air conditioner installation. Experience: Searching Google for ductless air conditioner installation will bring up so many results that you might be overwhelmed. While doing your research it’s important to choose a company that has lots of experience with ductless air conditioning. This ensures that your investment is installed and configured properly. Proper installation also means your ductless air conditioner will operate efficiently and reliably. 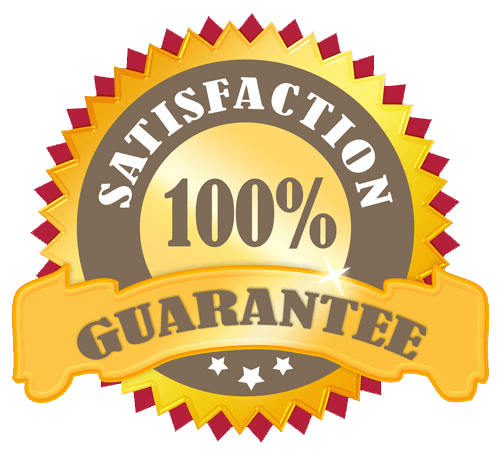 Guarantees & Warranties: Choosing a company like Air Conditioner Pro, that provides comprehensive guarantees and warranties at the company and manufacturer levels is important. Ductless air conditioners are machines and like any machines they can be defective or have defective parts. While Air Conditioner Pro only sells and installs top of the line ductless air conditioners there is always the possibility of a defect. In these cases guarantees and warranties protect you and your investment. Bonded & Insured: Don’t work with an HVAC company or any contractor that’s not bonded or insured. If something in your house is broken or a worker is injured while in your home they should be covered by insurance and bonds. If they aren’t you might be on the hook for medical bills or left paying for your damaged property out-of-pocket. Reputable & Professional: One of the most important things to note when looking for a ductless air conditioner installation company is their reputation. Most companies should have online ratings and comments from customers that indicate what they’re like to work with. It’s nearly impossible to change an online reputation, so companies that have poor track records should be avoided. Overall, choosing a ductless air installation company isn’t that difficult, just ensure you do your due diligence. Air Conditioner Pro has been serving Toronto, York Region and the rest of the GTA for over 30 years. Over that time we’ve built an excellent reputation for great work that’s affordable and guaranteed.